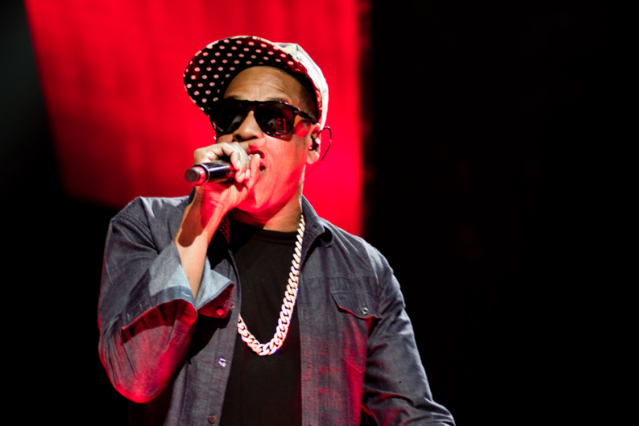 After teasing fans on Friday with a hint that he’d be making an announcement with the mayor of Philadelphia Monday morning on the steps of Philly’s Art Museum, Jay-Z and his business partners let the cat out of the bag a little early yesterday. Organizers told the New York Times that the ludicrously rich mogul would be curating and headlining his very first, very own festival, in … well, Philadelphia, and not, no doubt to the dismay of the Bedford-Stuyvesant community in Brooklyn. Jay, with mayor Michael A. Nutter by his side, announced as much this morning, adding that the lineup would be announced next Monday, not today, as was originally assumed. He told attendees at the conference that approximately 70 percent of the 28 or so artists performing have been confirmed so far. The Budweiser Made in America festival — named after a Watch the Throne track featuring Frank Ocean — will be a two-day event at Fairmount Park that will benefit, in part, local Philly non-profits via the United Way of Greater Philadelphia and Southern New Jersey, collecting “rock, hip-hop, R&B, Latin and dance” artists to close out the summer on September 1 and 2 (also known as Labor Day weekend). Tickets go on sale two days after the lineup announcement, Wednesday, May 23, via Ticketmaster/Live Nation.